Below you can view all the homes for sale in the Warfleigh subdivision located in Indianapolis Indiana. 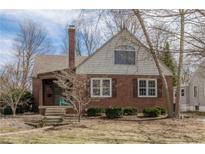 Listings in Warfleigh are updated daily from data we receive from the Indianapolis multiple listing service. To learn more about any of these homes or to receive custom notifications when a new property is listed for sale in Warfleigh, give us a call at 317-308-8198. 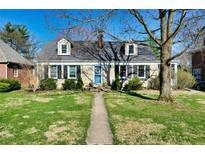 Amazing location- walk to Broad Ripple Village! MLS#21631757. RE/MAX Ability Plus. New updates include windows, furnace, A/C, bath vanities, & garage door just to name a few! MLS#21630783. F.C. Tucker Company. Outdoors enjoy the spacious fenced-in yard and patio! MLS#21628440. Redfin Corporation. 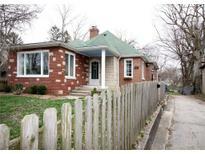 Other great features include an unfinished basement, huge deck with pergola, a fenced yard and updated detached garage. Come take a look! MLS#21626941. eXp Realty, LLC. Alley access to 62nd St. Close to canal path, Butler and Broad Ripple. MLS#21625666. Berkshire Hathaway Home. This quiet street is so close to Broad Ripple & the Tow Path that you can walk everywhere. MLS#21623559. Encore Sotheby's International. The home was stripped to the studs, reworked and beautifully put back together: new doors, fixtures, plumbing, electrical and refurbished hardwood floors. MLS#21611512. RE/MAX Edge. Enjoy the short distance to Keystone at the Crossing, as well as the convenient drive to the heart of Indianapolis. MLS#21590478. Indianapolis Metro Real Estate.